Water gardeners—keep your eyes open this season for invasive plants that may be lurking at your neighborhood garden store. In recent years, Illinois and Indiana DNR have both added nearly 30 new species to their lists of banned aquatic plants, but some may still be available for sale. If you spot one of these invaders, be sure to tell the store manager. Some species can be hard to identify and larger stores may not even know these plants are on their shipment list. That’s exactly what was happening at a Petco in Carbondale, IL, where Karla Gage found Brazilian elodea—aka Egeria densa—while browsing with her family. The Illinois and Indiana rules also make it illegal to gift, barter, exchange, loan, or transport the any listed species. Recent additions to the list—27 plant species in Illinois and 28 in Indiana—were chosen based on the results of a risk assessment tool developed in Indiana by the Aquatic Plant Working Group. The tool evaluates species based on factors like ability to thrive in the Great Lakes and difficulty to control. IISG’s aquatic invasive species (AIS) team organized and facilitated the group, which included representatives from the aquatic plant industry, aquarium and water garden hobbyists, state agencies, academia, and non-governmental organizations. 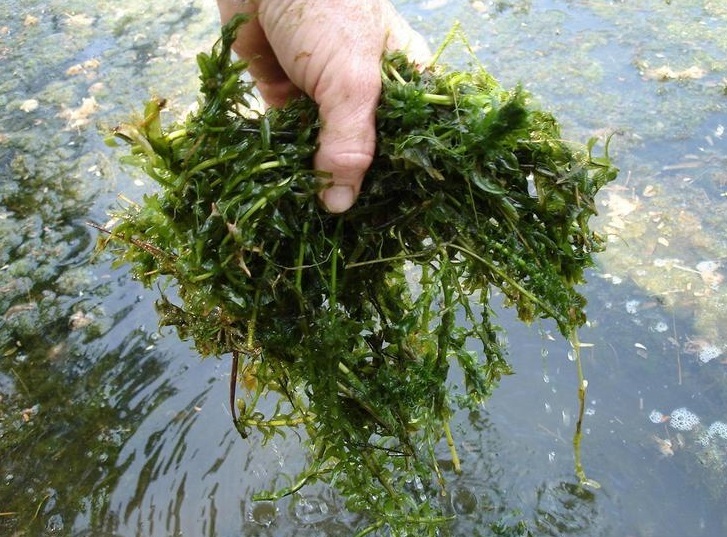 Read more about the River to River Cooperative Weed Management Area at TechLine news. And visit our AIS page for more information about invasive plants and animals on the market and what water gardeners and aquarium hobbyists can do to prevent their spread. ***Photo courtesy of Graves Lovell, Alabama Department of Conservation and Natural Resources, Bugwood.org.